New York is known for its diverse international culinary scene that can be found in different neighbourhood pockets around the five boroughs. 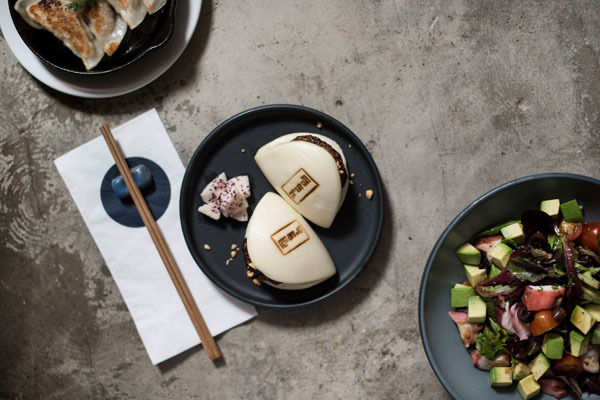 Here are some of our favorite picks around the city from innovative Japanese to an old world steakhouse and seasonal Mediterranean fare. New York is full of steakhouses, which has become a normal experience for many locals and visitors looking for a satisfying meal with friends and family. 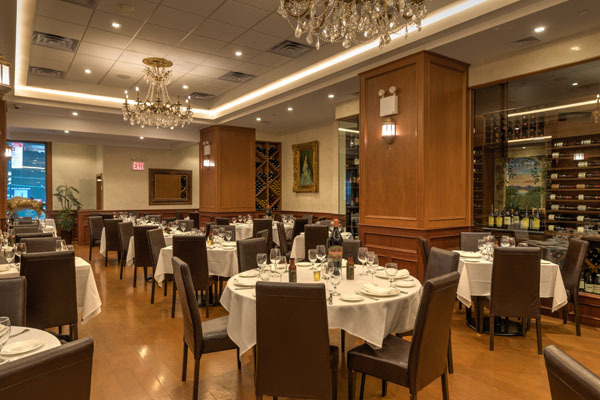 For locals who have been around, Ben and Jack’s Steakhouse was the quintessential New York City steakhouse experience in 2005 and the years that followed until it closed down for 5 years for renovations. There is good news, Ben and Jack are back at their original location on 44thStreet, the heart of Ben and Jack’s establishment. The upscale-casual establishment occupies 4,800 square feet at the EVEN Hotel boasting a modern design and stylish décor. Guests will be welcomed with warm oak wood furnishings and a strict business casual dress code. Indulge in a menu inspired from bold flavors, market-fresh ingredients and USDA prime dry-aged beef. The dishes encompass top cuts paired with classic steakhouse sides and seafood options for a surf and turf that exceeds expectations. If you’re looking for small bites to accompany your cocktail, the bar menu boasts baked clams, tuna tartare, mini sliders and more delicious options. As for the wine list, it is vast and includes varietals from all over the world. Don’t forget their classic cocktails, like an espresso martini, cosmopolitan and aperol spritz for night cap or perfect start for an evening with laughter and good times. If you prefer privacy when dining, the private dining room accentuates high ceilings and gorgeous chandeliers perfect for a small gathering that can accommodate 30 seated guests or 50 guest’s reception-style. This Mediterranean dining experience is a taste of both Northern Italy and the South of France helmed by Chef Jared Sipple. 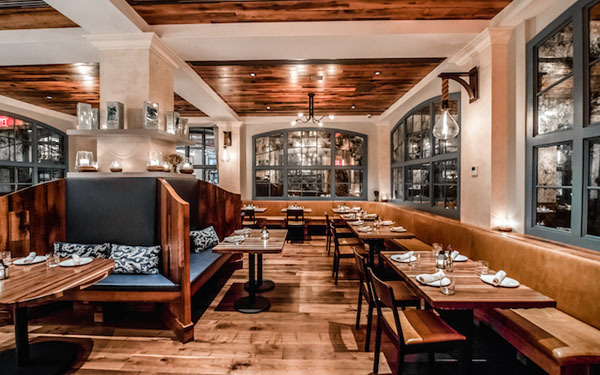 Trattoria Italienne invites diners to sit in a modern take on a traditional look of sleek woods and belle epoque décor to create a contemporary yet romantic atmosphere. Diners will sample cuisine highlights including the best products of the season along with hard to find regional wines to pair alongside an old world dining experience. Choose from 24 and 36 month dok dall’ava prosciutto with house-made grissini with European butter and fresh horseradish. The per la tavola, or to be shared and for the table section of the menu offers Fazio farm Burrata with green garlic ragu, Sicilian tomato and grilled bread, frico di patate con speck, and polpettini with pork meatballs, soft polenta and Calabrian chili agrodolce. It wouldn’t be an Italian restaurant without pasta, and there are lots to choose from including gnochetti with morel mushroom, martelli spaghetti and bigoli della casa with salt meadow lamb, fava beans and fennel pollen. If you’re stuck on choosing, opt in for the seasonal ‘Voyage d’Italienne’ for $70 per person which changes nightly highlighting some of the best dishes on the menu and chosen by the chef. To truly enjoy this gastronomic journey opt for the wine pairing for an additional $35. 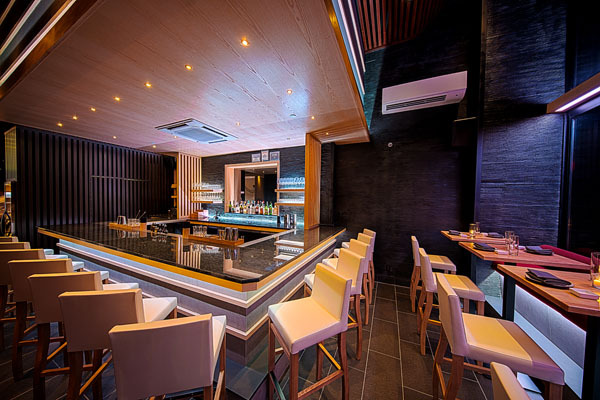 Midtown is now home to Sen Sakana a fusion restaurant that takes the norm and blends it up with a mix of Japanese and Peruvian flavors to create a new style of food: Nikkei cuisine. This intense intercultural exchange introduces flavors born from the union of two age-old civilizations to diners in Manhattan. The name Sen Sakana means ‘one thousand fish’ in Japanese, which refers to the 1,000 different species that are said to swim in the waters of Peru. The sleek and sophisticated establishment offers guests the optimum atmosphere for tasting this exciting fusion. Diners will taste recipes that explore the culinary romance of Japan and Peru including the Nikkei experience, a collection of Sen Sakana signature dishes for $125 per person. If you were looking to explore the vast menu yourself, there are many sections with delicious dishes to choose from. The grilled whole market fish is accompanied by grated lime daikon, ponzu and Peruvian Japanese ginger sauce while the washu skirt steak with tacu tacu has canary bean rice, daikon criolla and organic egg. It wouldn’t be a Japanese fusion without nigiri and sashimi including classics like unagi, shima aji, ebi and salmon. Diners can also choose a variety of classic maki rolls like California spicy tuna and scallop rolls. Don’t forget the drinks. Diners can accompany any dish with a glass of red or white from all over the world including France and Portugal, a crafty cocktail or two and for elegant nights out, a bottle of champagne is the perfect addition to any dinner event. If you’re looking for some of the best and authentic Japanese ramen in the city, head to Tonchin- the first stateside outpost that is located in the heart of the garment district. This acclaimed ramen shop has over 16 locations around the world including Japan, Taiwan and Shanghai. The sleek and bold contemporary décor marries casual elegance with world class cuisine and sets the stage for their innovative gastronomic offerings. This 60 seat eatery specializes in dekitate fare, which means that everything is prepared fresh with attention paid to the smallest of details. What put Tonchin on the map is their mouth watering Tokyo Tonkatsu ramen with Berkshire pork and simmered broth. For seafood lovers try the smoked dashi ramen with clams and vegetarians can opt for the spicy tan tan menu. To taste the authentic flavors of Japanese cuisine try the nambutekkiyaki that uses the same cooking techniques from the 17thcentury that uses an iron griddle that sears food to perfection and seals in flavors. Other highlights from the Izakaya menu include the pan fried pork gyoza, spicy tuna bowls, shishito peppers with bold flavors like shrimp miso and parmesan cheese, spicy miso black cod stuffed buns, and the spicy teriyaki chicken wings sprinkled with pepper.